Free Shipping Included! 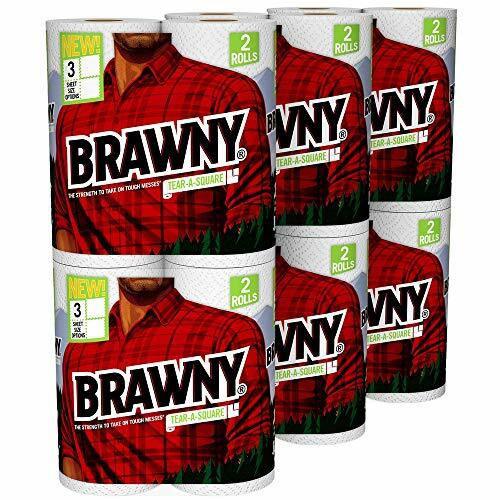 Save 1% on the Brawny Tear-A-Square Paper Towels, 12 Rolls, 12 = 24 Regular Rolls, 3 Sheet Size Options, Quarter Size Sheets by Brawny at Baking Love. MPN: 41705. Hurry! Limited time offer. Offer valid only while supplies last. New Brawny Tear-A-Square paper towels with quarter (1/4) sheets offers three sheet size options so you can use just what you need without the waste.